I have never used pre-made die-cut on my cards before, but I guess there is a first time for everything! I felt as if I was cheating. LOL I got this great box of paper and matching die-cuts as a gift from a friend years ago and opened it up last night and decided to give it a go! I usually save things like this for scrapbooking. I think the card came together nicely when I added all the extra detail. Added detail : I used my cricut, spellbinders, ribbon, prima flowers, MS punch and brads to finish it off. If you have any questions…don’t hesitate to ask! Categories: Cards, challenges | Tags: Card making, Cards, color challenge, Cricut, encouragement, rubber stamps, spellbinders | Permalink. This card came togethr very nicely! I totally understand what you mean by “cheating”. In this case it was good! Great job and thanks for playing along with Dynamic Duos. Beautiful card – that sentiment is a favourite of mine! 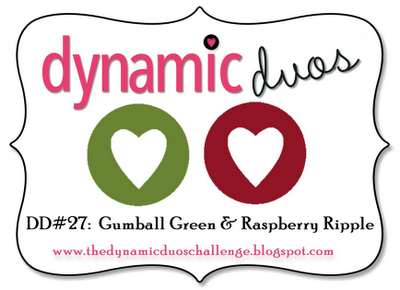 Thanks for playing along with the Dynamic Duos this week! 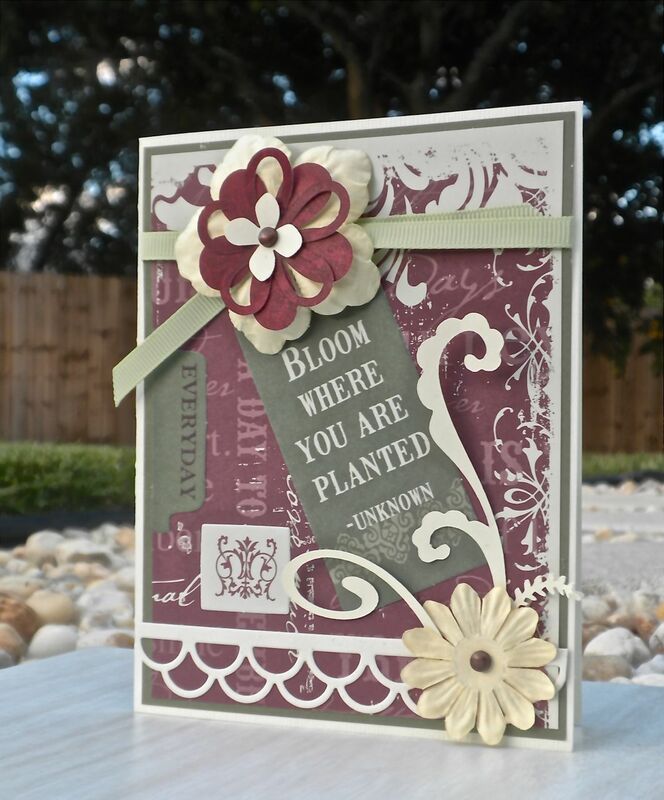 I love that sentiment!, and the flowers really go so well with it! Cheating or not, a lovely card. Thanks for playing with us at Dynamic Duos.